Here is Petra, the capitol city of the wealthy Nabateans, especially in the first century AD. These early Arabians had a caravan trade that was the envy of the ancient world. If you think mall – an opulent, designed-to-impress mall – you’ve got some idea of what this city used to be like. After the Crusaders, it was lost to the Western world until 1812. Its imposing carved-into-the-bedrock tombs draw crowds from all over the world, but Petra’s very size preserves some of its mystery. 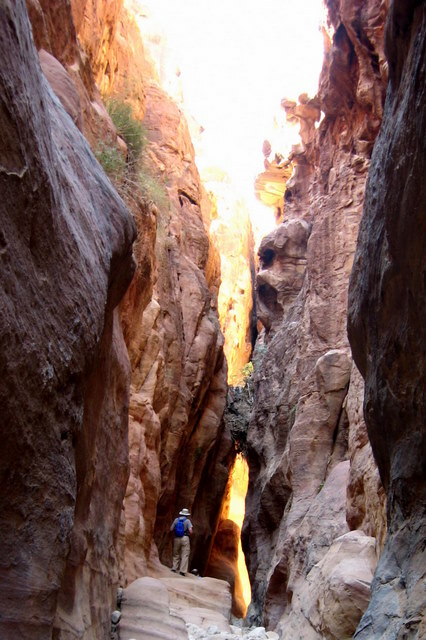 Most tourists visit for a day; it would take a month to fully explore its out-of-the-way canyons.